Earlier this week, my Acrobat updated it self without any intervention on my part. What the heck?! 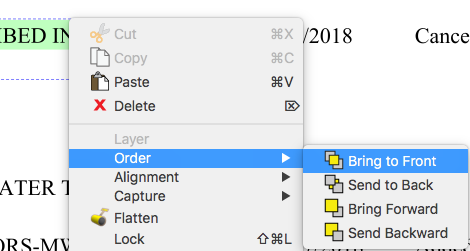 If you are like me and are disappointed with the user interface changes, there is a way to get the 2018 version of Acrobat back. 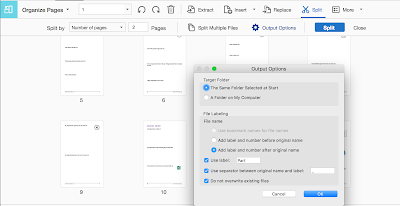 Why should we be limited to just one version of Acrobat? Keep them all! 3. Install Acrobat CC 2018. This is important because if the 2018 version is still in your app folder, it may just update to 2019 and you'd have to start this process over again. 5. Download and install CC 2019 (if you feel so inclined). Rename it's folder. The latest two version of my Acrobat installations were a little buggy after this process. I don't know if that's because I was running both 2018 and 2019, or if they are just buggy. 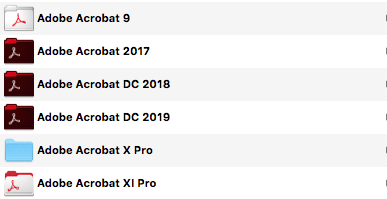 Acrobat does crash pretty regularly for me (even prior to this update), and I've read complaints from other users that 2019 crashes frequently, so I suspect the program is just buggy. Just be forewarned. 6. Turn off automatic updates for Pete's sake! 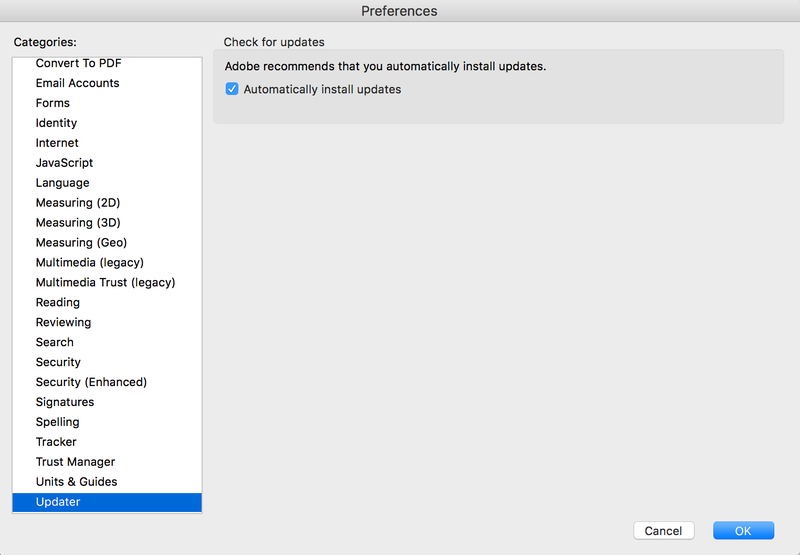 If you don't want automatic updates, be sure to turn off automatic updates in Acrobat Preferences > Updater. 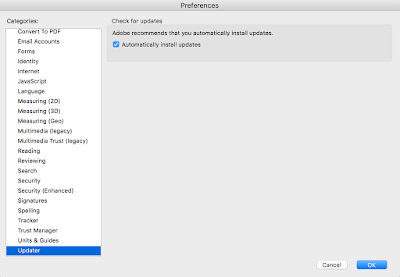 ff automatic updates if you don't want Acrobat updating on its own! 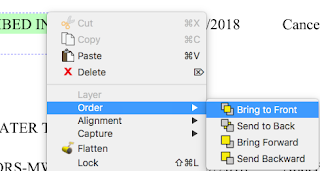 If you are using Adobe Reader, there is no option in the UI to turn off automatic updates; which means that you are stuck with the new version. Sorry! You can also visit the Acrobat User Voice forum here and share your thoughts with Adobe. Please check this page containing the known issues of Acrobat and Reader. 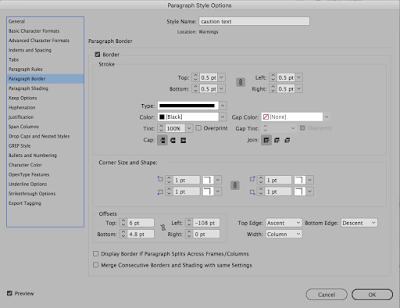 Much of my workflow involves obscure, little understood technical features of InDesign. 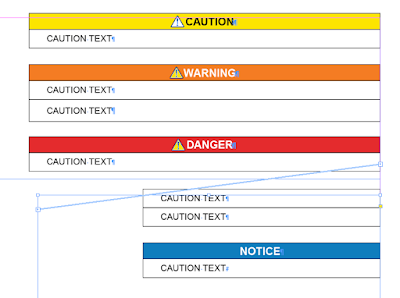 Two of the features I use the most are Conditional Text and Notes. They were introduced many years ago and haven’t been improved since then. However, from time to time, independent developers decide to tackle some of the challenges faced by users of these obscure features. And for these developers I am extremely grateful! In this post I’d like to introduce you to a new commercial plug-in called MoreInfo by Kerntiff Publishing Systems. MoreInfo combines the information from several features and displays it all in one handy spot. With MoreInfo, you can see, well, more info, on conditional text, notes, tracked changes, overset text, and index entries. Read the entire article at InDesign Secrets. 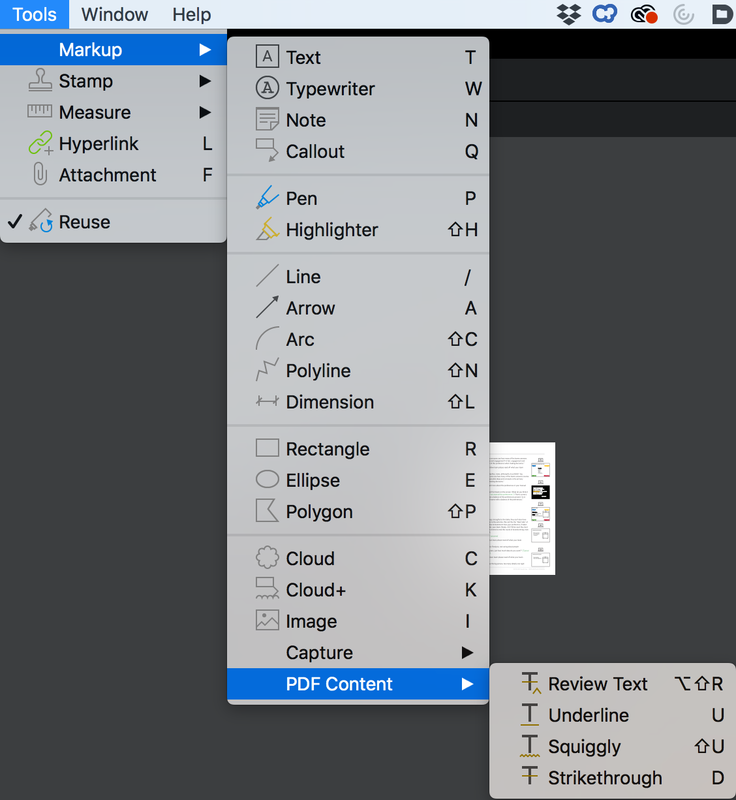 I've recently switched PDF commenting programs and I'm excited to be learning new and more efficient ways to work. Normally, when I need help with software, I visit the product forums, but for some reason, Bluebeam decided to remove their forums in the name of privacy. So I'm left to figure things out on my own. Today I wanted to set up a palette of highlighters a a custom tool set. It took a little bit to figure it out, but it works great and makes highlighting in multiple colors so easy! 1. Choose the Pen tool and draw a line. Be sure to NOT hold down the shift key. For some reason, this doesn't work when the shift key is held down. 2. Check the Highlight checkbox and change the line width to something thick. I used 12. 3. Right click on the line and select Add to Tool Chest. 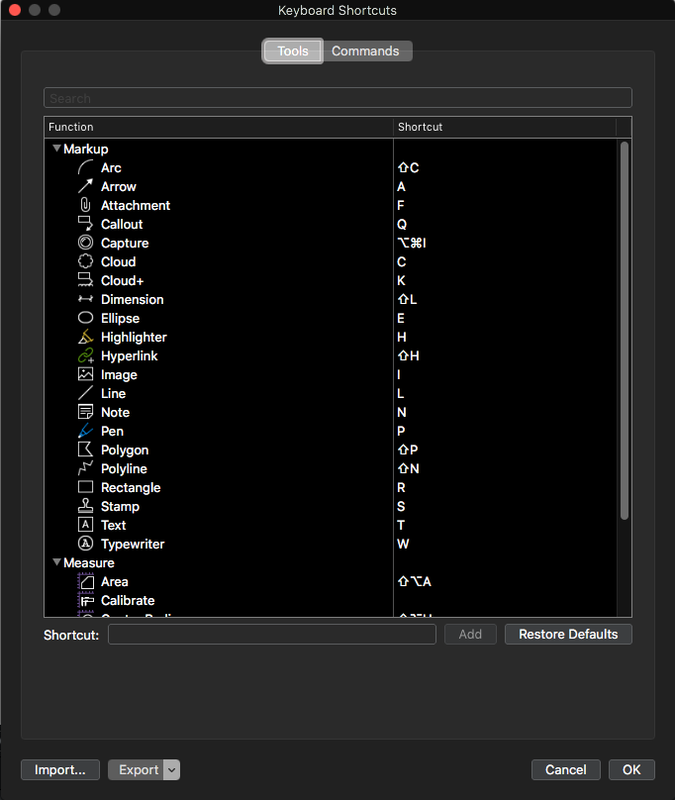 I had already set up a custom Tool Ste called "Highlighers." That's why it's listed right below "My Tools." 4. Go to the Tool Chest. Double click on the icon. That's it! It took a little bit of fiddling to figure out how to get this to work. 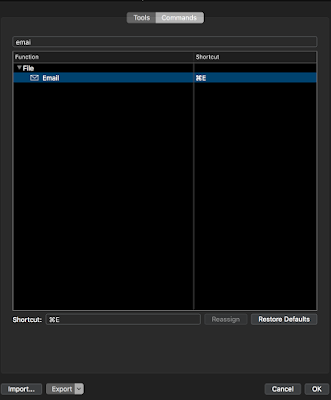 The thing with commenting in Bluebeam is that the tools are so adaptable, they'll behave pretty much however you want. 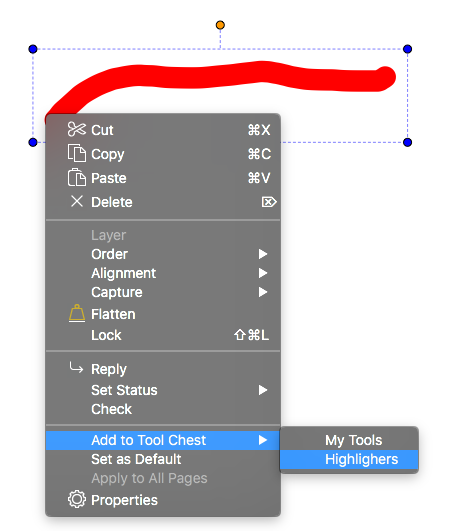 By holding down shift when drawing your line, Revu will recognize it as a line and will force it's behavior in the Tool Chest accordingly. For you my beloved blog readers: I am sharing my set of Revu highlighters. Enjoy! If you aren't familiar with Revu and want to learn more about why this software is so great, read this article. After using the same PDF editing software for many years, I recently discovered a new one, tailored specifically to meet the needs of people in the AEC fields (Architecture, Engineering, and Construction). I downloaded a 30 day free trial and purchased it right after my trial ended. This new software is called Bluebeam Revu. It is cross platform, although the PC version is a bit more full-featured than the mac version, from what I have been told. 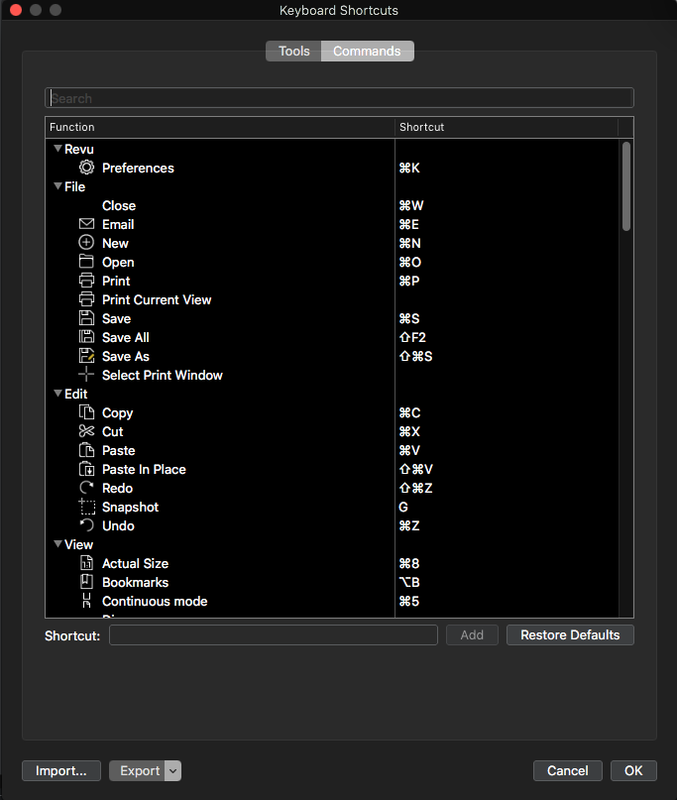 But the mac version is still mind blowing. I can't even imagine what more can be added! The PC version is $349 and the Mac version is $199, and it is worth every penny! Apparently, I'm not the only one who thinks this software is amazing. According to Bluebeam, they have over one million users worldwide. The work I do on my engineering-related PDFs involves mostly commenting and markup. 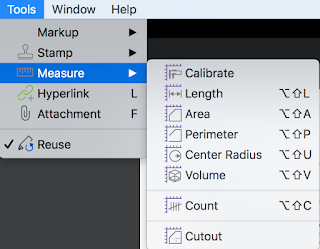 With that in mind, I wanted to share with other folks some of my favorite markup features of Revu. Buckle your seatbelt! This is fantastic! 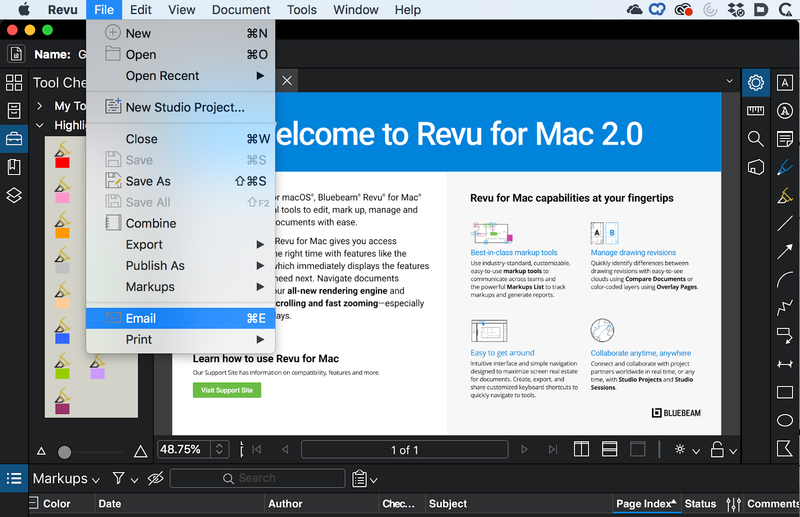 Note: These are screenshots from Revu Mac version 1. A week after I wrote this article, version 2 was released! Soon I will update this article with a link to my experience using version. There are only one set of colors to choose from, and they closely resemble those in Acrobat 9. 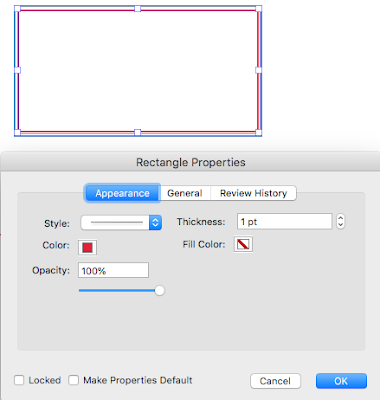 No Fill Option for drawing markups. Can I get an AMEN on that one?! 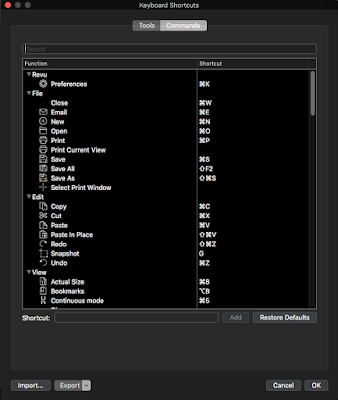 Toolchest lets you save regularly used tools so you don't have to recreate the settings every time. 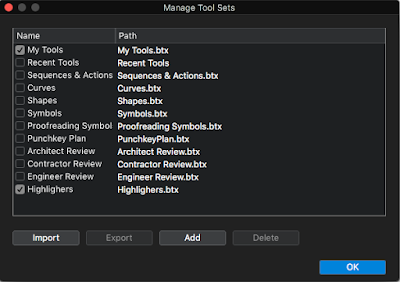 You can also export your Tools to share with others. 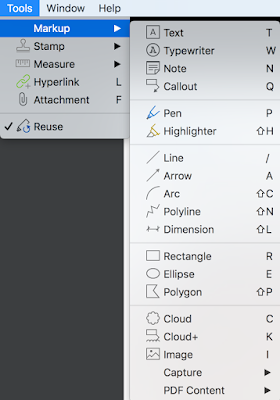 This is also a great way to store drawing markups and text boxes or things that you regularly need to use. It's like a spin on the Acrobat stamps pane or the Illustrator symbols panel. ToolChest has a bunch of shapes already made and waiting for you! 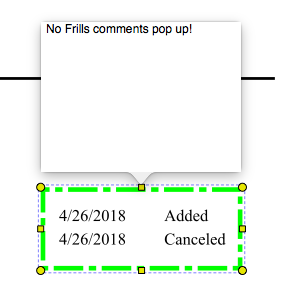 Streamlined comment pop-up. Just a place to type your comment. Nothing more, nothing less. Drawing mode has a highlighter option. 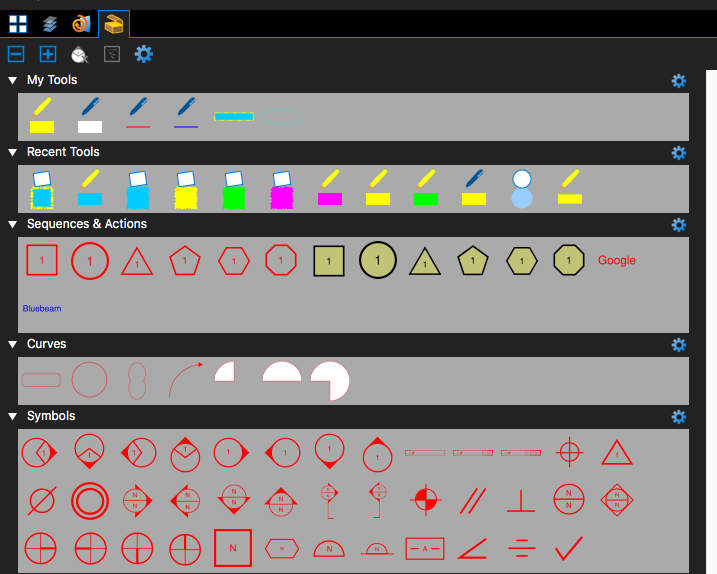 The beauty of this is that users can simply draw shapes around whatever they want to highlight! This affects the blending mode of the shapes and makes the shape tools act just like a highlighter. No more scribbling over large areas to attempt to highlight them. 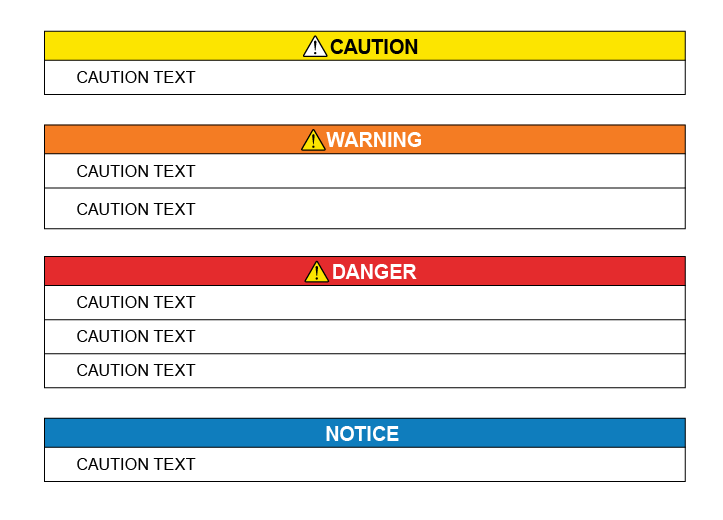 The highlighter tool is smart enough to be able to highlight vector objects that are not fonts, without me having to rasterize the document. Module based UI whereby I can put whichever modules wherever I choose in the left, right, and bottom panes. The UI is truly customizable! 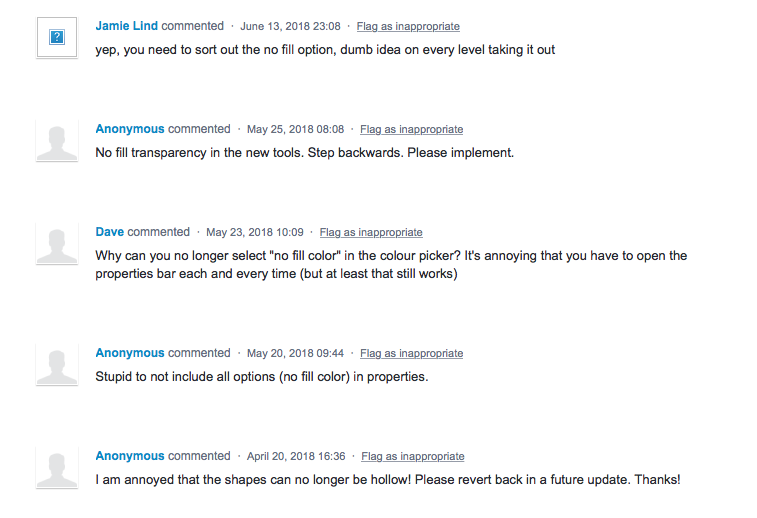 The comment/markup pane harkens back to Acrobat 9, where it was docked at the bottom and had no wasted space. This is a great use of space! The Markups pane is also fully customizable, so I can choose which columns I want displayed, as well as in what order they display. Stacking order options for comments! Collapsible Categories in the Panes. Hide what you don't need! 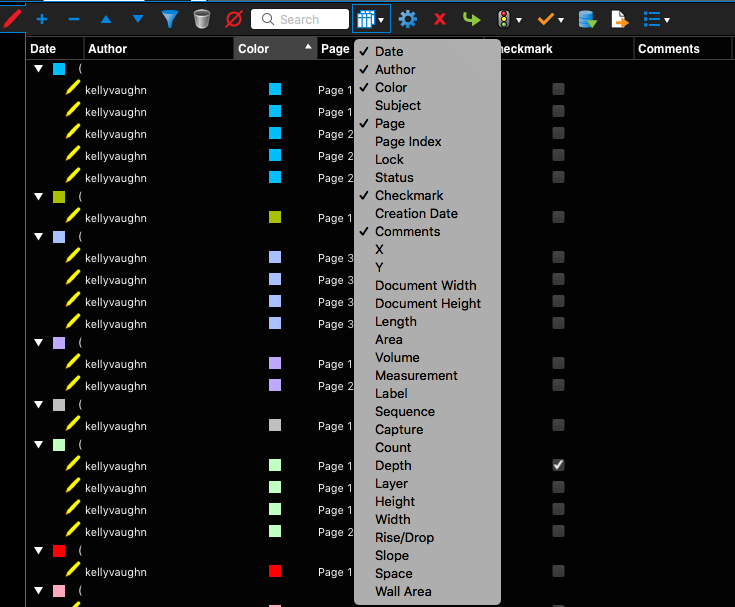 Collapsible categories! XY Coordinates! Oh my! I'm sure once I get more familiar with this software, my list of favorite features will grow. Give it a try and see how you like it! Read the next article in this Bluebeam series here. 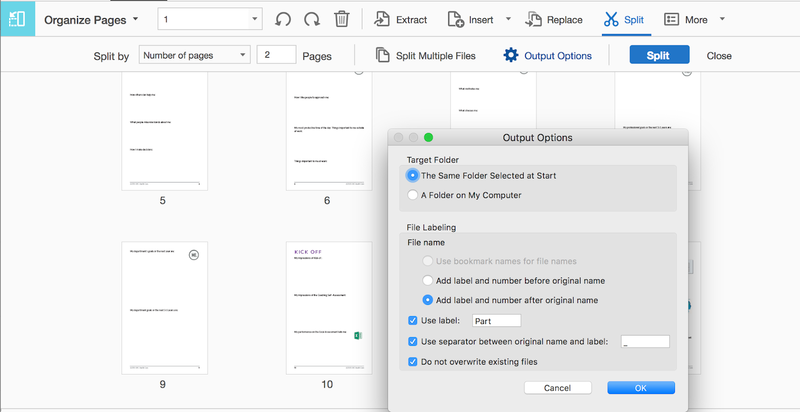 With the release of Acrobat DC, a number of the longstanding functions of Acrobat were duplicated into new tools. What’s not readily apparent is that the a number of the old methods were left in place. I wrote about one of those (the Properties Bar) here. 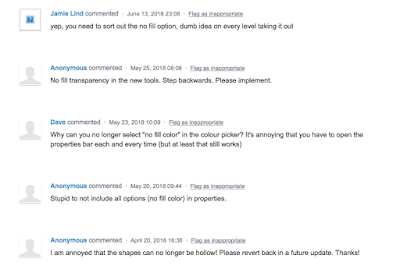 In today's article, I’ll be discussing another one of the deprecated tools: Page Thumbnails. 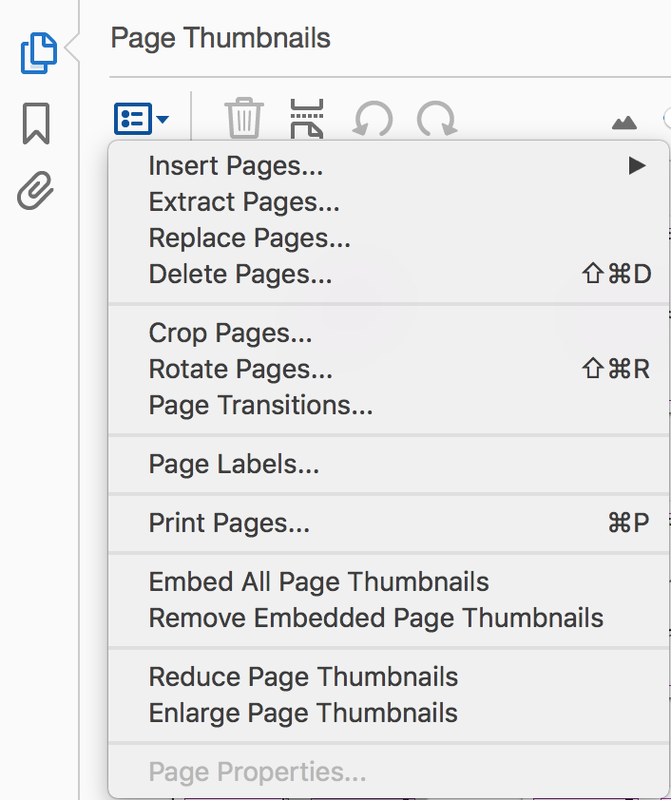 The Page Thumbnails are located in the left-hand pane of Acrobat DC. 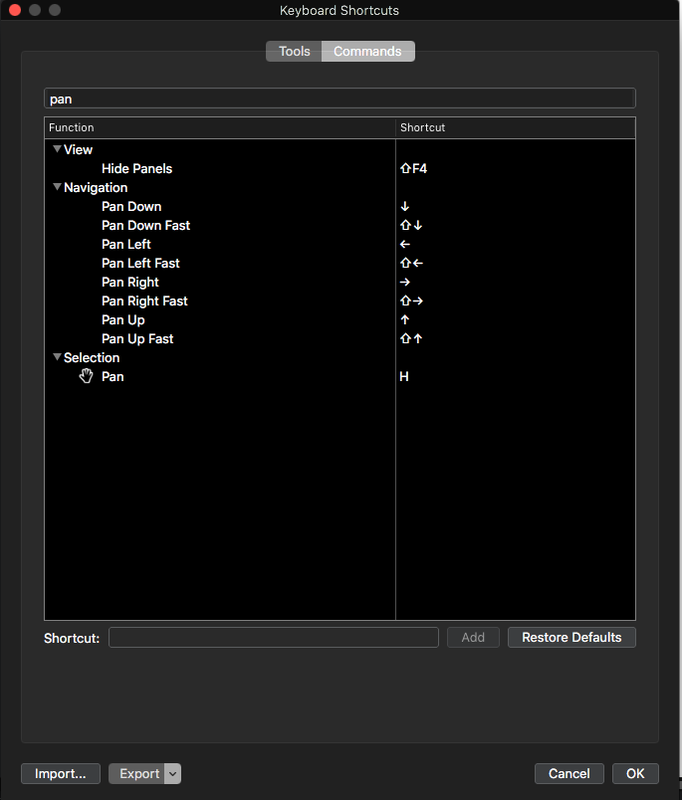 If your left-hand pane isn't open, simply click on the triangle in the left-hand side of the UI, and the pane will pop open. To view the various buttons, right click anywhere in the pane. Once the Page Thumbnails are open, click on the Options button to reveal various functions. 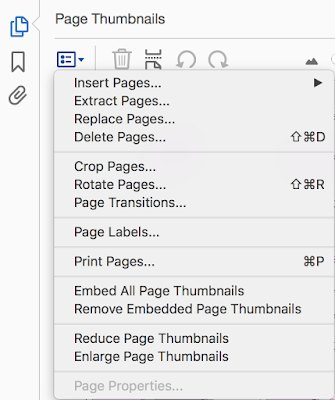 Most of the functions that exist in the Page Thumbnails were duplicated in Acrobat DC's "Organize Pages" tool. The Organize Pages tool has the options listed across the top, in a graphical format, rather than in a singular dropdown list. Some of the functions have additional options, which are listed in either dropdowns or secondary dialog boxes. So why do I prefer using Page Thumbnails? Since most of the functions are duplicated in both tools, which tool I use depends upon which functions I use the most. 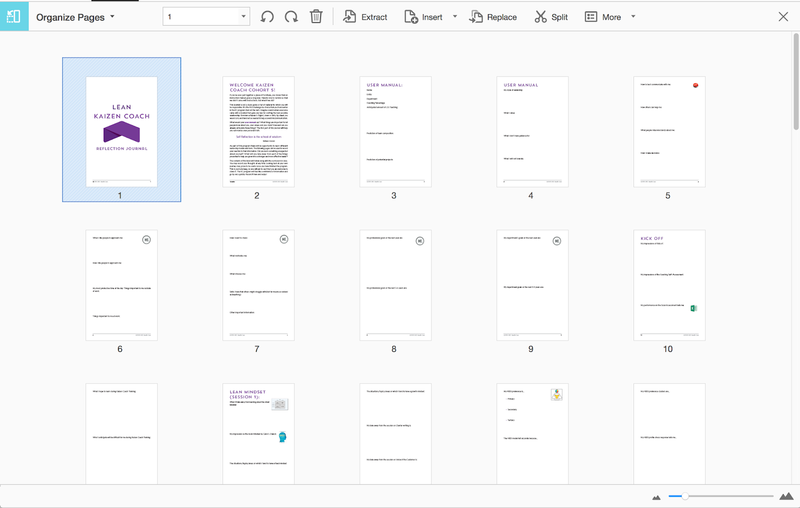 For my work, much of what I do in Acrobat involves printing double sided documents. 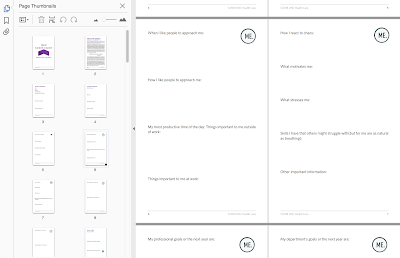 Page Thumbnails allow me to view thumbnails while concurrently viewing the full size document. 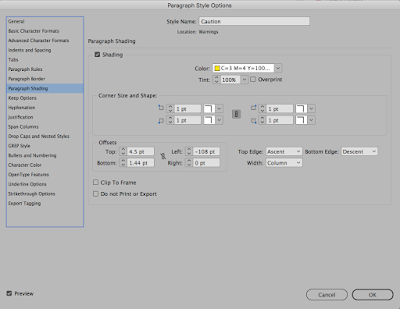 That feature helps me to spot errors when printing. 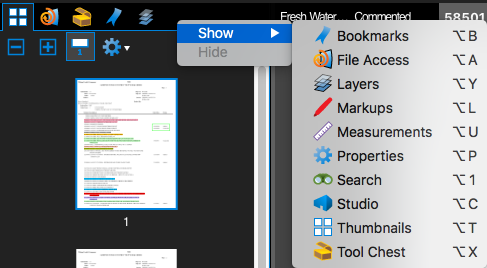 The one and only function that is missing from the Organize Pages Tool is the very reason that I prefer the Page Thumbnails tool. Those are the three functions that are in the Organize Pages tool but not in the Page Thumbnails tool. Which method do you prefer when viewing thumbnails? 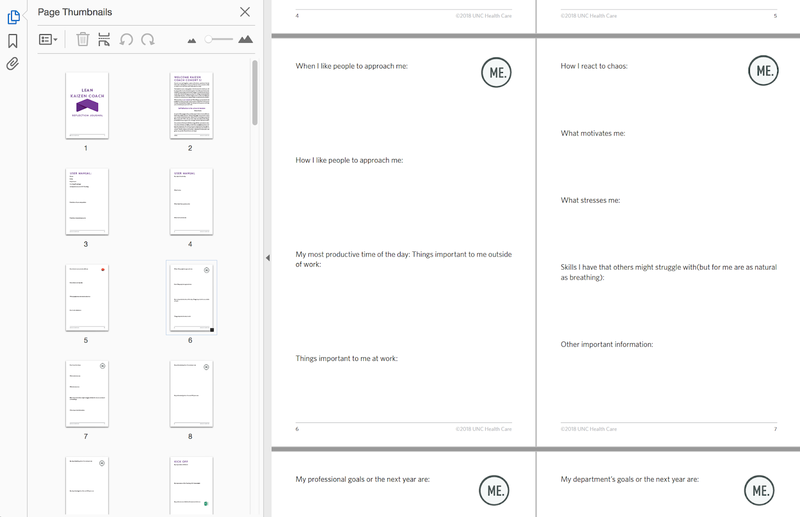 I learned to day that the Organize Pages tool has another unique capability that does not exist in the Page Thumbnails tooL; You can drag in images and drop them into the Organize Pages pane and it will automatically convert the images to pages, and add them into the PDF. It do so in one batch, alphabetically. 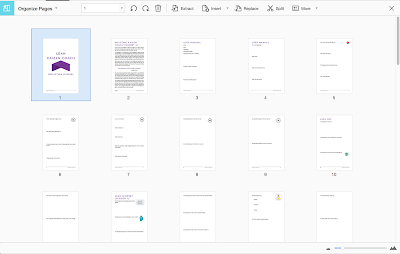 I spend a fair amount of time on the Acrobat User Voice pages, and wanted to deal with a hot-button issue for people. Many users would like to be able to customize their toolbars, and it is not readily apparent how to do so. They are much more customizable than it first appears. I think the main reason for this is the nomenclature used. This video helps to explain the various types of tools within Acrobat, and compare them to the UI elements that are consistent among other Adobe applications (but totally inconsistent with Acrobat). This is really part 2 of a topic I began in previous video about how to customize toolbars in Acrobat DC. 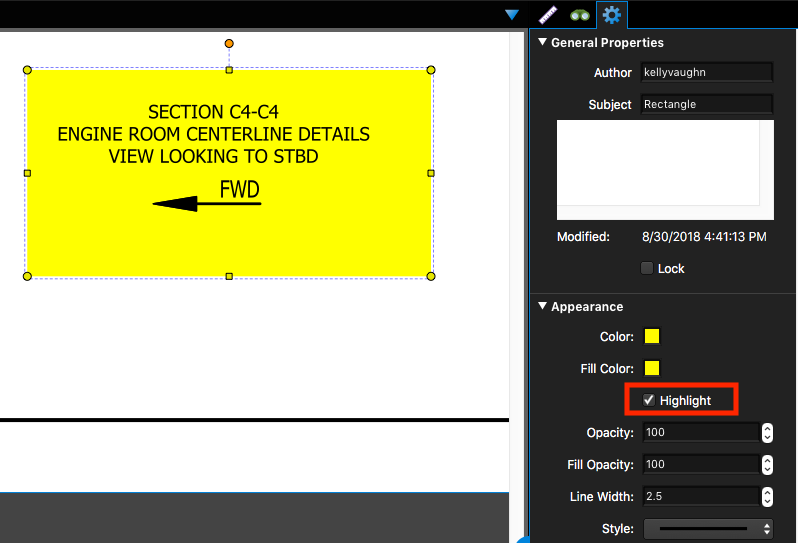 If you'd like an easier way to customize the UI of your PDF editing software check out my article on Bluebeam Revu. It's an amazing program designed specifically to meet the needs of users in Architecture, Engineering, and Construction. How to Make a PDF Drawing markup with "No Fill"
Somewhat regularly on the Acrobat forums, I see people asking for help making a shape with "No Fill" option when drawing shapes. Like this post for example. 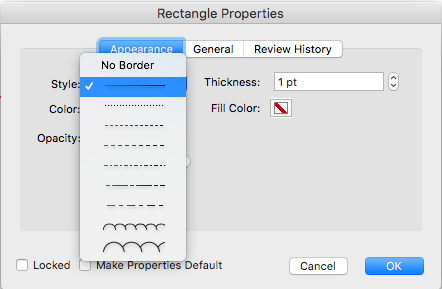 In Acrobat DC, the old properties toolbar (which I discuss here, here, and here) was deprecated in favor of a new way of doing things. The multi-tool Properties bar was broken apart into several tools, all of which combined do not accomplish the same things as the old faithful Properties Bar. 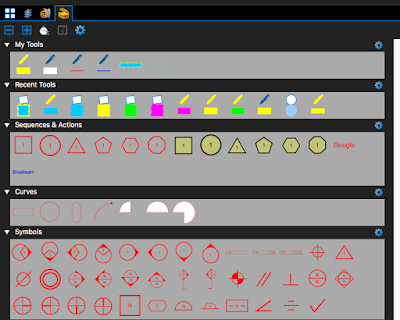 The new tool include "Color Picker" and "Line Weights", as well as the Text Properties tool. I went into those at some length here, but I realized today that I have never gone into much detail about the biggest glaring omission of the new tools. For me, the most important thing that was left out of the new DC tools is the ability to set a "no fill" option in your drawing markups. That's odd, especially considering that the default setting of the drawing markup tools is "No fill." 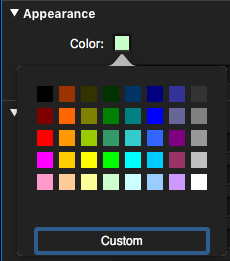 Notice how NONE of the giant color swatches are checked? That's because you cannot accomplish "No fill" using this new tool. You must bring up the old Properties bar. 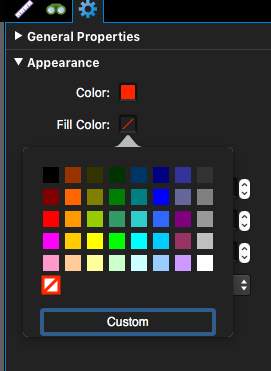 On this feature request Acrobat User Voice page, this user proved my point that once the default no-fill is filled in, there doesn't seem to be a way to un-fill it. People can't find the no Fill option because it is hidden in the old UI! It's quite frustrating for many users to not have the 'No Fill" option, as illustrated here. People want to set "No Fill"
Not even clicking on the sprocket Options icon will give you anywhere to set the "No fill" option. 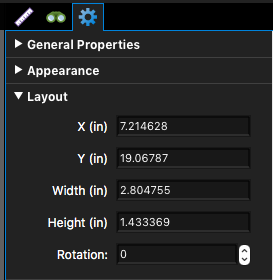 That will, however, bring up the secondary Properties dialog box, which is useful if you need to access one of the other properties not available in the redesigned tools, namely "Line Style." 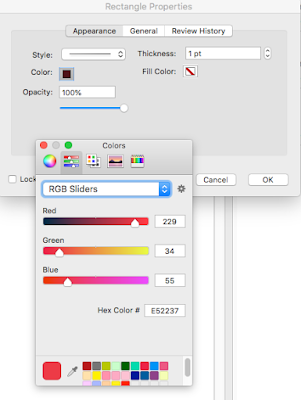 Compare that with the old Acrobat-specific Properties dialog box which had a thoughtfully designed set of colors, complete with a No Fill option. 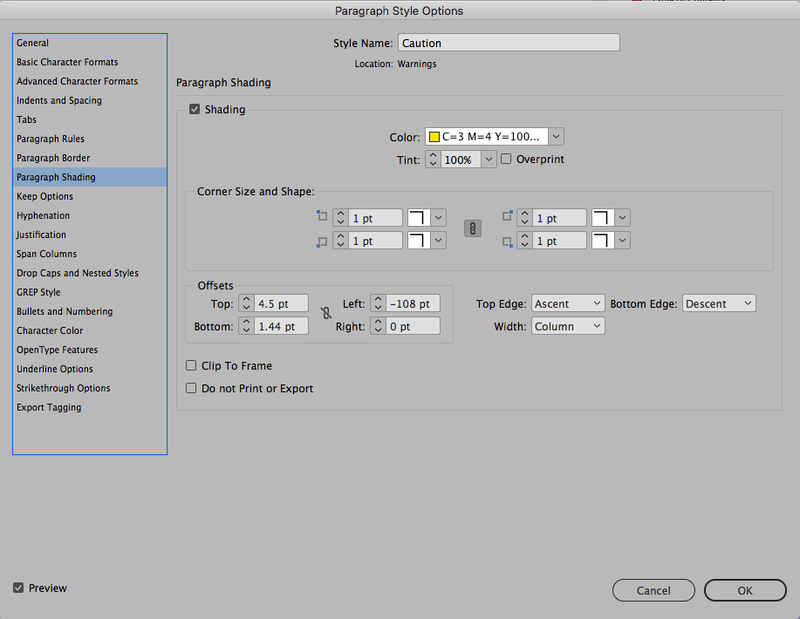 Of course we want the option of no fill creating PDF markups. 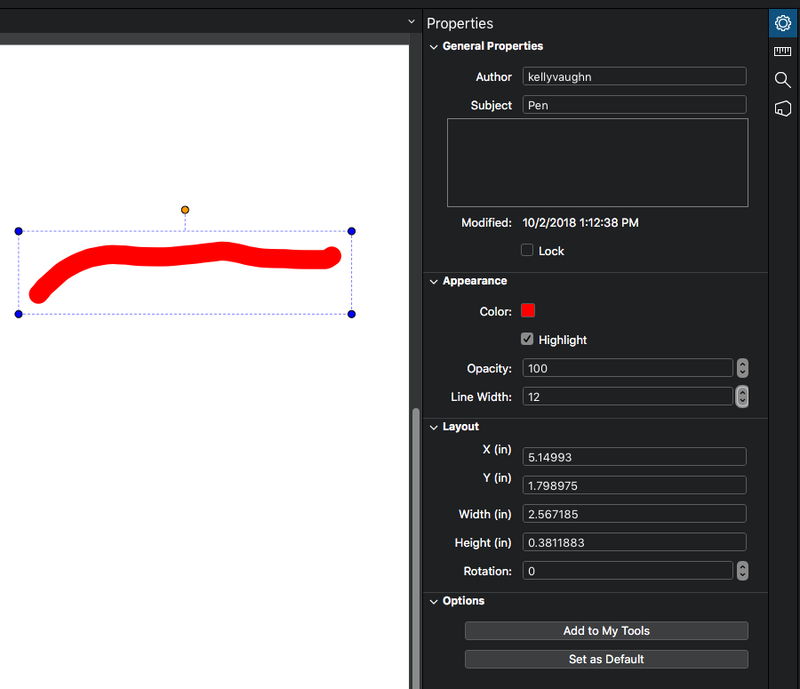 Even more so when creating drawing markups! Thankfully, the Acrobat designers from a decade or so ago considered that and built it for us. Having a good method of highlighting and doing drawing markups has been a huge issue for me for years. And I am not unique in this. 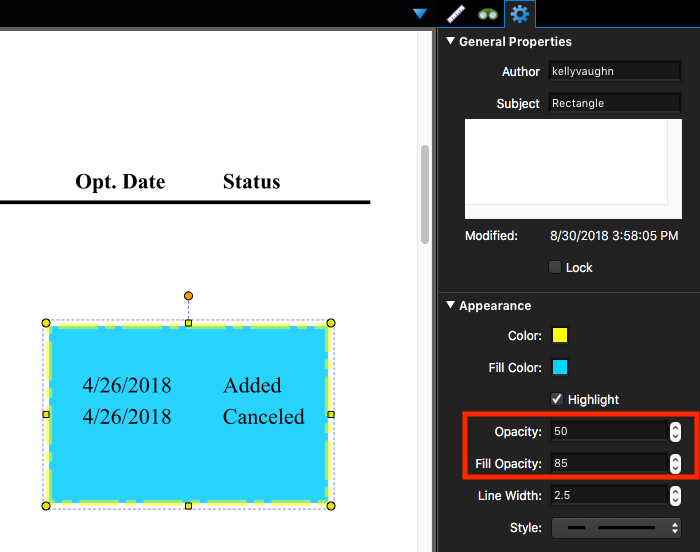 Entire industries (Architecture, Engineering, and Construction) rely upon the ability to set a No Fill option on their drawing markups. Let me be clear. 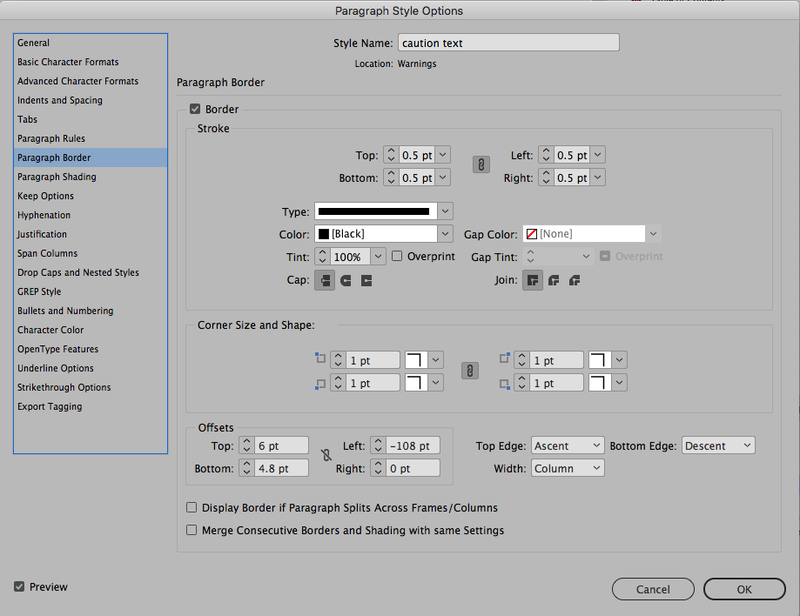 I love Acrobat! 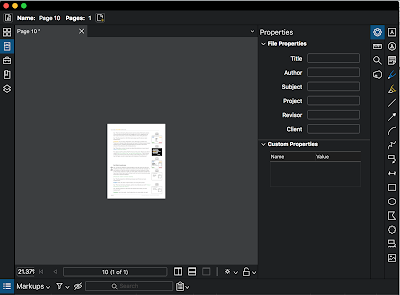 I think it is the best PDF editor on the planet and I even did an entire Lynda course all about PDF commenting in Acrobat. But it is really missing the mark in some areas, and I'd like to help fix that. 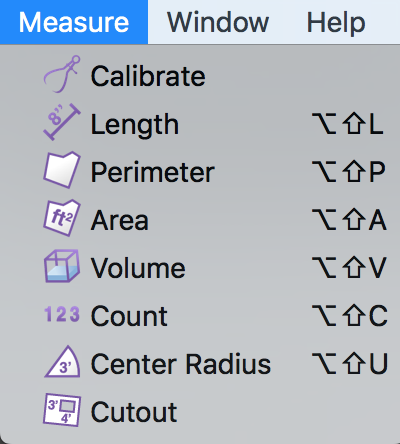 With a few changes and additions, Acrobat would be hands-down the best tool for doing drawing markups. But in my experience of working with engineers and builders across the country, only one person I've worked with uses Acrobat DC. Most of my clients are on old versions of Acrobat (one of them just recently got Acrobat 8 installed! ), and some of them are starting to use competitor software. And that makes me sad. Will you take a few minutes to visit the UserVoice page and vote for each of these features? I recently discovered a different software called BlueBeam Revu. They have a No Fill Option! 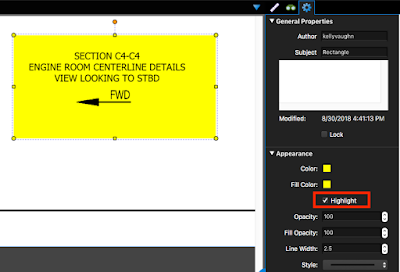 Check out my article on Bluebeam Revu. It's an amazing program designed specifically to meet the needs of users in Architecture, Engineering, and Construction.